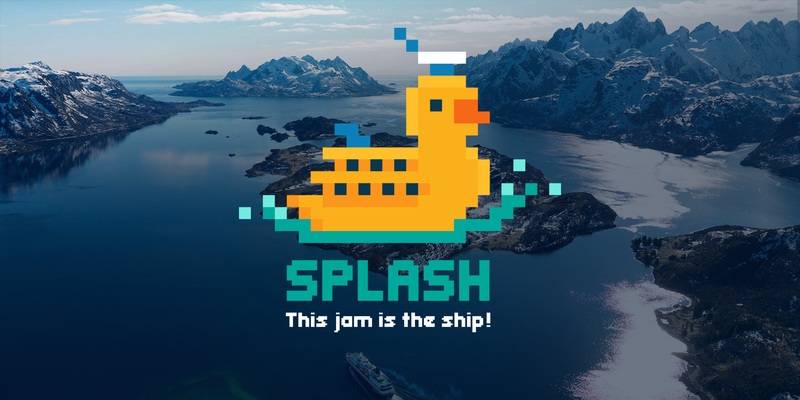 SPLASH is a traveling game jam on a cruise ship in the north of Norway under the northern lights and through the mountains and fjords! Please follow us on Twitter and Facebook to stay updated. We also have a mailing list and a Facebook group where we gather our community. Through the waves to the never. Clean up all the space trash! Save the ducks from unescapable death by tilting your boat!